According to Tom Stevenson (the world’s most respected authority on Champagne), “Vilmart is without doubt one of the greatest grower estates”. Family owned, organic, biodynamic and only making wine from their own vineyards with meticulous attention to detail. One of the very few producers using oak thoughout (similar to Krug! 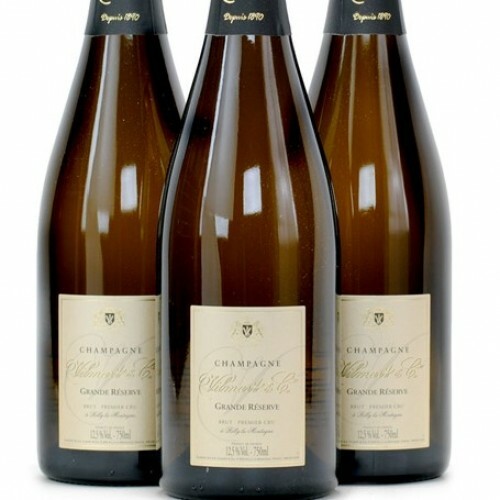 ); their wines are exceptional and must represent some of the very best value in the whole of Champagne. This is their entry level NV. Pinot Noir dominated and all the more elegant for that. Simply beautiful! Very fine yellow in the glass with a light mousse. 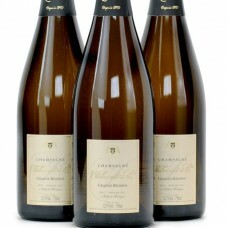 The nose is very aromatic with biscuit, pear ripe wheat, or corn notes. There are background scents of spice, including white pepper and celery. In the mouth the mousse is beautifully balanced and elegant with an initial rush of white fruit and mild citrus flavours, giving excellent background acidity. The “dosage” is well judged and not apparent. The wine finishes clean and long with some aging notes (biscuit) and a complex vegetal element similar to the celery on the nose. The overall impact is very light and elegant. Vilmart is to be found in Rilly, on the slopes of the Montagne de Reims. Owned and meticulously run by Champs family for over 100 years and now by Laurent. the estate is a mere 11 hectares of premier cru vineyards, planted with Chardonnay and Pinot Noir, which is farmed as close to perfectly organic as can be. Everything is handpicked and in the cellar the grapes are crushed in an old-fashioned vertical screw press! The non-vintage Champagnes are fermented and aged for ten months in large oak foudres and for the Vintage, new 1 & 2year old 228 litres barriques are used. The grape varieties are all fermented separately, an assemblage being made after the first fermentation. No filtration, as all the wines are cleared by fining with isinglass. After 10 oak aging the wines are bottled and the secondary fermentation begins. After completion all the cuvees spend between 2-6 years ageing on their lees prior to remuage and subsequent degorgement. As Laurent himself says "We do wine first, then afterward we do Champagne." And boy, do they do Champagne!